The hot air that welcomes you when the stewardess opens the door of the plane in Cancun is just the beginning of all the beauty that is awaiting you when you arrive in Quintana Roo. You can choose out of a lot of places to stay, but this time it will be Tulum! Well, where should I start? Tulum… to me, this is paradise. Perhaps not a surprise if I mention that one day I hope to realise my dream to start a hotel right at this place. 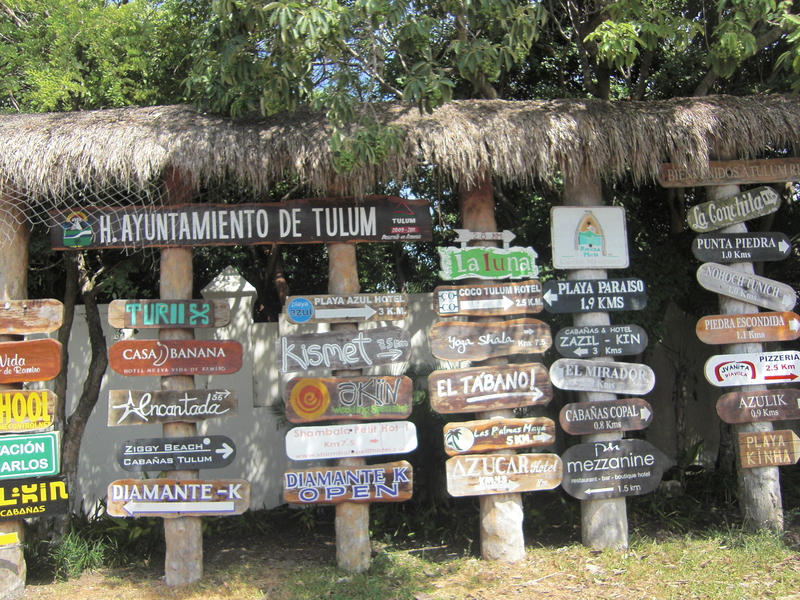 Tulum is a small town in the State of Quintana Roo. It is located just at the bottom of the Riviera Maya which starts at Cancun and runs down to Playa del Carmen. You will find Tulum at an hour and a half drive from Cancun International Airport. The town can be reached by bus (ADO offers reliable and good service), by public transportation (collectivos), or by car. The city can be divided into Tulum center, beach, and the world-famous structures – the ruins of the centuries old Maya city. Most people will visit Tulum for this reason as a day trip and focus on this touristic place, but there are enough great and economical ways to stay – and they are worth it, when you like to be near a natural beach. 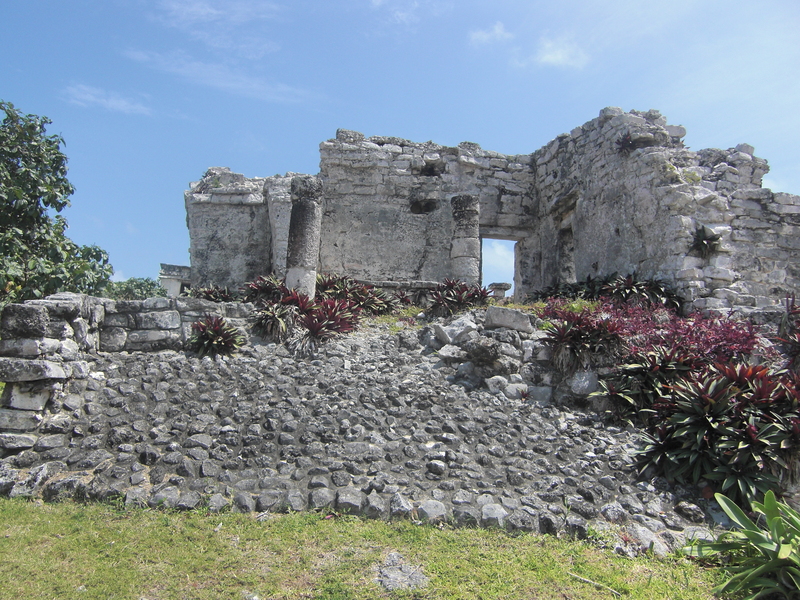 Originally, Tulum was a Mayan city and as every Maya town it had a specific goal. So did Tulum: it was a harbour. When visiting Tulum you will immediately understand this, because of its locating near the sea. This is what makes a visit to the Tulum ruins so special. Is the heat too much and are you looking to cool down? You easily jump into the ocean! Some steep wooden stairs provide access to the beach that belongs to the archeological place. Of course also this place is a touristic one filled with merchants who will try to sell you all kinds of stuff before you enter the ruins. No matter how you arrive in Tulum, you will always have to leave the parking lot and walk towards the archeological place. That means: to listen to talks about tours, tour guides who would like to accompany you, merchants who want to sell… Unless you are not able to walk for five minutes, do not believe what people say and that it’s too far away to go there by foot. It only takes a five-minute-walk! Salesmen will try to get you into the train that takes you there for way too many pesos. 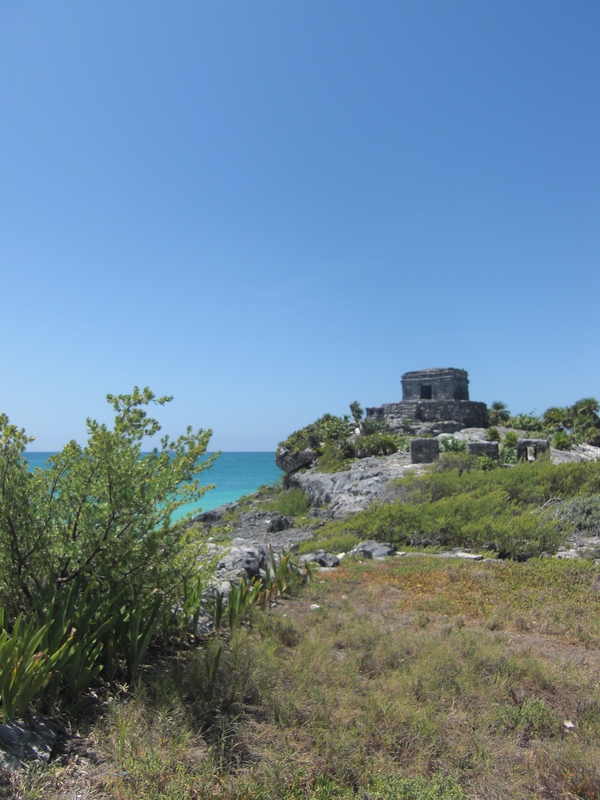 Besides these downsides, visiting the Tulum ruins is a must! Are you looking for a cheap place to stay in Tulum, than you will find your hotel, hostel or B&B in the center of the small town. There is only one main road that leads through the center. This road (where you can find a lot of good restaurants) connects Tulum with the South and North of Quintana Roo. Don’t forget to walk into the streets along the main road as you will find some great restaurants here, many of which have beautiful gardens! Another big road connects Tulum to Playa Paraiso. This is the most beautiful beach that I have ever seen, and you can find a hotelzone. Even here you might encounter a budget hotel. This hotelzone is unique because the hotels can only be build with respect to nature. Therefore it looks completely different than the hotelzones in Cancun and Playa del Carmen. 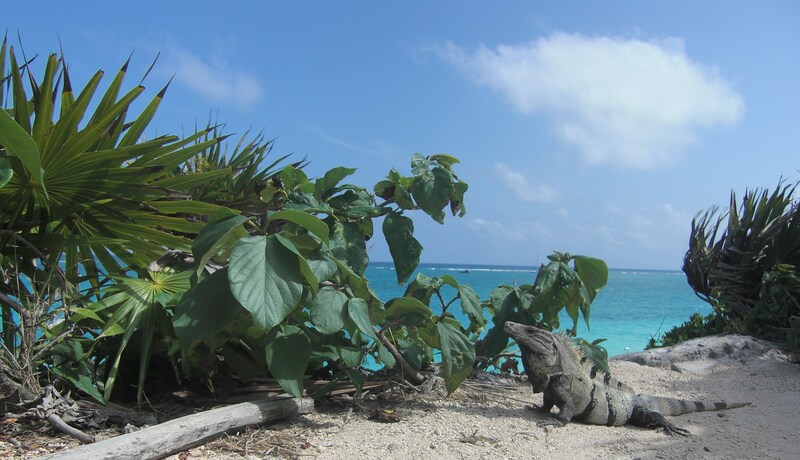 Ecotourism is very important in Tulum, for those of you who are interested in this. For people from the Netherlands (and everyone else who enjoys a bike ride) Tulum is extra fun. This is a place where riding a bicycle is popular and actually POSSIBLE. There are special roads for cyclists, the distances are relatively short and the road is flat. Just look at the pictures. Are you convinced yet?